Another wonderful screwball comedy – but somehow sinister, maybe because of the WWII that influenced the Noir style – “Arsenic and Old Lace” was directed by Frank Capra and it stars Cary Grant, Priscilla Lane, Raymond Massey, and Peter Lorre among the big names. If it hadn’t been a comedy, I would have considered it a film noir, because the plot involves several unsolved crimes that were made by Mortimer Brewster’s family, including his old and apparently kind aunts and his Dracula-like brother. There are many unforgettable scenes and the film obviously criticizes the American traditional family – which is depicted here as a group of maniacs -, but also the classical love story, with happy ending. Mortimer doesn’t particularly want to marry Elaine, who is his most ardent lover, and he repeatedly avoids her, even more when he finds out that he is the descendant of a criminal family. 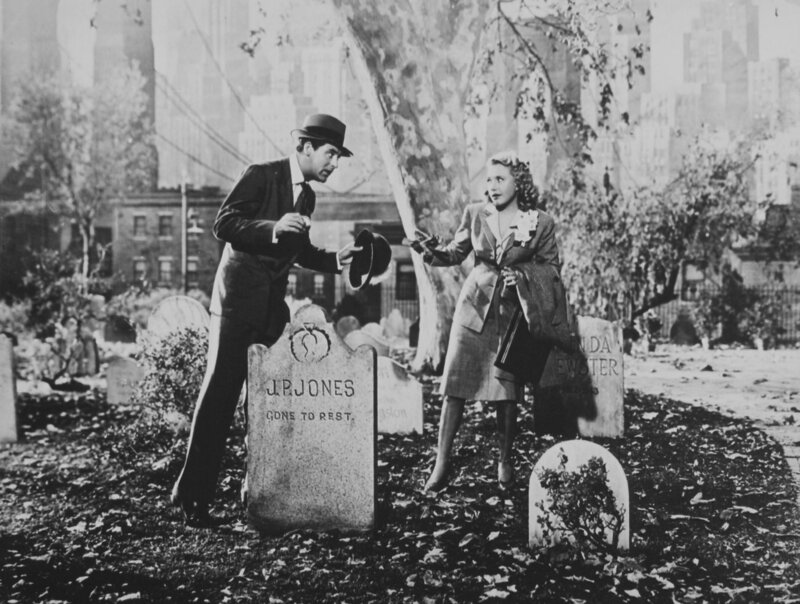 The film is much more appreciated today than it was at the time it was released, because it is an unusual comedy that combines romance with crime. It is a black comedy at superlative, and for those who like this kind of productions, “Arsenic and Old Lace” is certainly a gem of a film, that will offer you a very pleasant time.